One of the ways we are celebrating our 10th Anniversary Dreams Campaign is through a 10 Question Series. The Dreams Campaign was created on the belief that girls who dream, become women with vision and through this campaign we hope to connect the SEGA girls with people and organizations around the world through their shared dreams. Our goal is to show each girl at SEGA the endless possibilities that come from investing in girls' education. 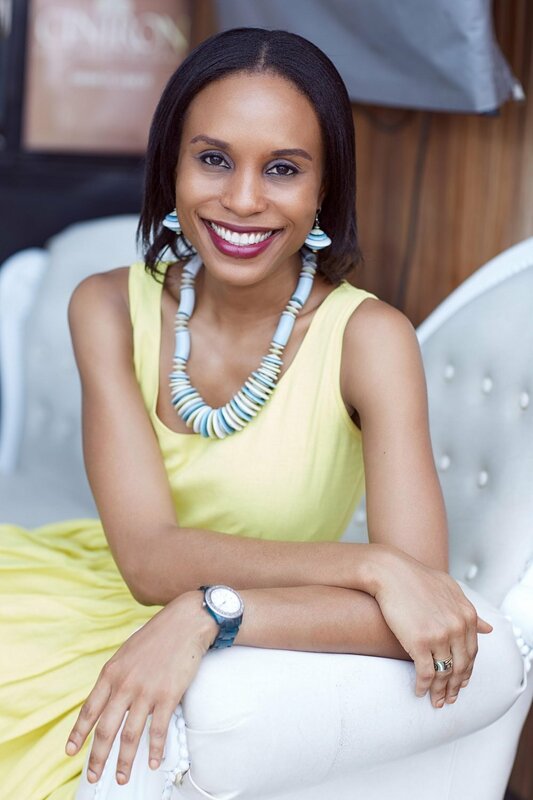 We are excited for you to read our 10 Question Series with Francesca Uriri, founder of Leading Ladies Africa below. I didn't really have one central dream when I was growing up - I wanted to be many different things. First, a doctor, then a lawyer, then a broadcaster, then an athlete, then a musician. My dreams took different shapes and sizes as a young girl. Books and a VERY active imagination. I was a somewhat reclusive and introverted child, so I spent a lot of time in my head wondering about the characters I read off in books, and the worlds they were able to create. In hindsight, I'm absolutely grateful for that. To stay on course. As I grew up and became a teenager, I quickly realized I had creative tendencies and could do many different things. This often led to a lack of discipline or a lack of focus. So one of the most hardest things I've had to learn, and still am learning is the art of staying focused and following something through to the end. Dreams don't work until people do. Dreams also take inordinate amounts of focus, discipline and of course, luck. Don't care so much about what people think or say about you. And don't be too rigid or hard. Perhaps the most important is: give yourself permission to fail, and fail often. Several people - men and women inspire me and I admire them. The list is very LONG lol! My late father always made me feel like I could do/be anything. He affirmed me in the most incredible, life changing ways and always said to me: "you can do it." Even now, remembering all of that always strengthens and guides me. Without a doubt, it would be Ms. Ademiluyi, my Literature teacher in Secondary School. It was her who nurtured my gifts in learning and loving literature - which probably gave room for my other creative gifts to flourish. The second person would be my first boss, Alima Atta, who gave me my first opportunity in Public Relations and Communications - without her, I definitely wouldn't be the PR professional I am today. My immediate environment was a huge help. My parents raised us up to believe that we could do anything - and they actively encouraged and promoted my dreams. Without that freedom to be able to express myself - I don't know that it would ever have been possible. Always. For dreamers out there, this is something you will always have to deal with. But once you're unafraid to fail, and you believe in the power of your vision, and you have a great support system, you'll be alright. Don't be afraid to fail - failure teaches you many more important lessons than success can ever do. No matter what the world says or does, please be your most original and authentic self. Don't ever ever blend in; stand out. In a world of too many clones, be the original. Francesca Uriri is the founder of Leading Ladies Africa, a women empowerment non-profit that celebrates the lives of African women, and promotes leadership, diversity, and gender inclusion. Francesca is also the Head of Communications for West Africa at Uber, where she works to establish Uber in big cities such as Lagos and Accra.